If you would like to customise your order, please add instructions regarding colour or size here. Thank you! 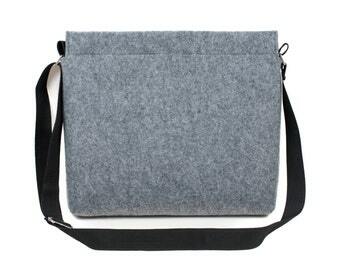 Bag is made of 4mm synthetic vegan-friendly felt which provides protection for your laptop. 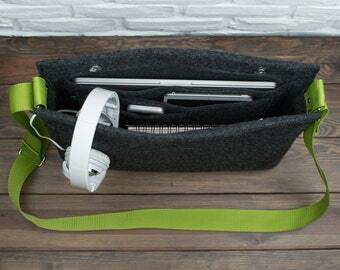 It will help you keep your laptop in great condition for a very long time. lenght: 39 cm / 15.4"
Please, remember that dimensions can change depending on the size of your laptop. 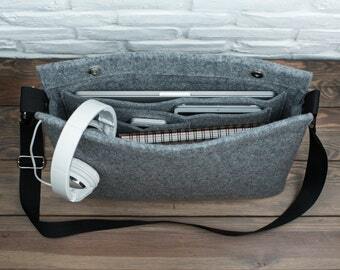 adjustable length up to 150cm / 59"
Package contains one felt bag. If you can't find your laptop in dropdown list you can choose 'other laptop' during the ordering process. Please, let me know about your device's dimensions in message to seller while ordering. You can also request custom order by clicking "custom order" button. I can create bag especially for you. Excellent quality, very responsive and helpful to all questions. The bag is wonderful. 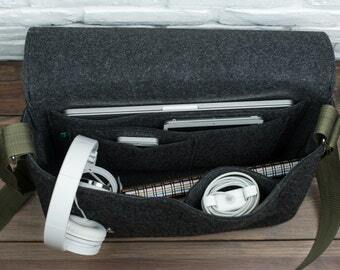 It's made from thick and sturdy felt, and fits my laptop like a glove. Alicja went out of her way to make sure I had a good customer experience. When something went wrong with the shipping, she immediately sent me out a new bag and even included some of her coasters to make up for the bother. Great product and great shop! Wow, another grand slam. Made to my specifications and perfect! 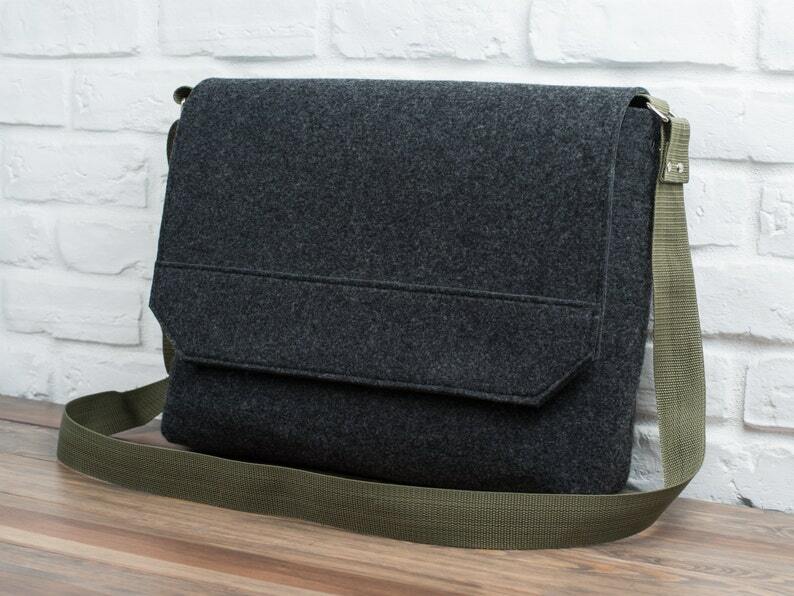 Ich benutze die Tasche für die Uni. Laptop, Block, zwei Lehrbücher und eine kleine Flasche passen locker hinein. Die Verarbeitung ist super und der Versand hat auch geklappt. Ich bin sehr zufrieden.